We are having the summer we deserve in Calgary! It’s been beautiful – and hot – and we’re all spending as much time outdoors as possible. With our three generations worth of experience at Mirage we can help improve your residential landscaping so that you can enjoy it as much as you can … while you can. Which Way Does Your Property Face? When designing your residential landscaping we will take into account which direction your property faces first. North, south, east and west facing properties all have different needs when it comes to landscape design. Many consider a north-facing property to be ideal, as they tend to get the most direct sunlight, especially during the winter when the sun is low. East-facing homes may enjoy beautiful sunrises and warm mornings, but that will be over by noon. The sun won’t provide much heat in the winter either. South-facing homes don’t allow in much sun at all, which makes them much cooler in the summer. However, there can be a risk of condensation in the winter. West-facing homes will receive intense afternoon sun, which is great in the winter but hard to manage in the summer. The orientation of your property makes a difference to what can be most successfully planted. While some plant species need full sun, others thrive in shadier areas. But they all need at least some sunlight to carry out photosynthesis, which is essentially how plants breathe. One of the most common reasons for a plant to die is because of lack of sunlight. As a loose guideline, vegetable gardens require the most sun at six to eight hours a day. So if you want to incorporate a place to grow your own food garden into your residential landscaping, we will make sure to incorporate it into the sunniest part of your yard. Shrubs and perennials that need partial sun will still require at least three to four hours of direct sunlight, so they should be placed where they are not shaded for a good part of the day. And even shade plants need two hours of sun a day. A common mistake we see in gardens planted by those who are not experts are shade plants being placed in areas where they receive literally no sun. You will be able to tell if this is the case if your plantings are weak, spindly, and have brown leaves. Trees never do well without enough sunlight, and planting them too close to each other, a fence, or the side of the house will greatly affect their overall health. We know there’s a temptation to bunch trees close together when they’re young to create that coveted shade canopy early on, but this will only result in crowding, the spread of disease, and likely the sprouting of unsightly suckers. Be patient and give them time. You will be grateful for it! Calgary is awfully finicky when it comes to its growing seasons and conditions. That’s why we won’t ever plant something that we know might struggle growing – no matter what the conditions. Some of the best trees for our climate include ash trees, aspens, birches, box elders, elms, maples, ornamental apple and crabapples, and larches. In the evergreen varieties, cedars, junipers, pines, and spruces tend to do well here. There are many pretty flowering shrubs that also thrive in Calgary. Among our favourites are forsythia, lilac, Nanking cherries, double-flowering plums, spirea, caraganas and barberries. They provide a variety of colours, heights and spreads, making for a full, fresh and beautiful landscape. There are lots of best practices that come with residential landscaping. There are also lots of bylaws, especially when it comes to corner lots. We will always take care never plant to contravene city regulations, and also make the most of your property at the same time. Along with exceptional residential landscaping services, we at Mirage are also able to help you create inviting and functional decks and patios. And if your fence is falling down and in need of repair or replacement, we can do that too. 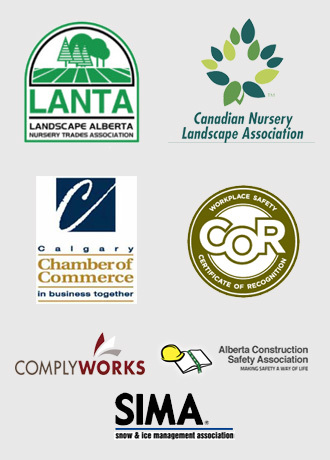 Mirage Landscaping provides affordable and professional lawn and garden landscaping services as well as landscape construction services throughout the Calgary area. We can add value to any home. 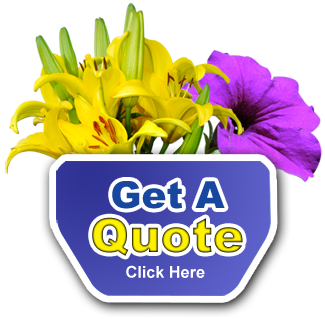 To get started, please contact us for a free project estimate.